An Everyday Carry Kit, or EDC Kit is made up of the everyday carry gear, including emergency EDC essentials that you might need to face challenges or dangers. Particularly those that come between you and home. In the strictest sense, we all take an EDC Kit with us each day. Our wallet or purse, keys, money and mobile phone are those items that you've decided you need each day. But should you be taking something more with you just in case? The answer is yes and this article is all about Building The Best EDC Kit you can. If only we knew exactly what situations we would face on any given day, we would never leave our house unprepared. There are no warnings given for disasters. You have to try to anticipate your needs before they arrive. Your daily routine can give you some ideas about the types of situations for which you need to be prepared. Where do you live? Do you live in an urban, suburban, or country community? Or do you live so far out in the boonies that, without a four-wheel-drive truck, you'd need a 72-hour pack to make it home alive? Work environment? You may live in a gated community but work in a dangerous part of town. Consider where you'll be spending time, especially outside of your car, as a part of determining your likely risk. Long commute? People who commute long distances have a higher likelihood of certain challenges like car trouble, or dangers such as car accidents. Having a car bug out bag will be handy if this is your situation. Responsible for others? If you often have children with you, you may need to consider their needs as a part of your everyday carry gear kit. Unique medical needs? Do you suffer from a food allergy, bee allergy, asthma, high blood pressure or diabetes? Rescue medications like back up inhalers, epi-pens, blood pressure medicine, insulin, and needles would need to be a part of your EDC kit too. There are three types of scenarios for which you need to be prepared. Challenges: common situations like a flat tire or a dark parking lot, a power outage. These are the things that won't kill you, but a little preparation goes a long way toward making things easier. Threats: a personal attack, car accident, injury, or an opportunity to help another person in one of these scenarios. Catastrophes: terrorist attack, natural disaster, rioting, getting lost or breaking down way out in the wilderness. Anything that results in a major disruption to your routine or makes it necessary for you to survive on your own. You know your routine. Only you can identify your unique needs and likely threats. It's important to be prepared, but if you try to prepare for every single emergency that could ever arise, you could end up with an EDC kit that's so enormous you never have it with you. The very best EDC kit is the gear you actually have on you when the need arises. If your initial instinct is to over-prepare, relax. At least you're on the right track. There are several types of EDC Kits that are valuable to have around and they all serve slightly different purposes. A Get Home Bag or GHB, carries a little more equipment than you would want to carry on your person and is designed to do exactly what the name implies. Get you home. Another type is the Bug Out Bag or BOB which is as much as you can carry (within reason) and is designed to give you everything you need to survive for up to a week. The weight limit recommendation for a Bug Out Bag is 1/3 of a man's body weight and 1/4 of a woman's. Preparing for eventualities with all three of these types of kits in mind will ensure your are prepared efficiently and give you the ultimate peace of mind. You could think of it this way. Your Best EDC Kit is designed to get you to your Get Home Bag. Your GHB is designed to get you to your Bug Out Bag. And your BOB is designed to support you through a minimum of a week in the wilderness, should the need arise. Best case scenario, you never need a GHB or a BOB, but it's nice to have them. However your are almost certainly going to need an EDC kit quite regularly. There are many recommended items that you might want to carry as a part of your Best EDC Kit. Based on the risk assessment that you've already performed, you'll need to choose the items that are EDC essential and will best help you meet those needs. 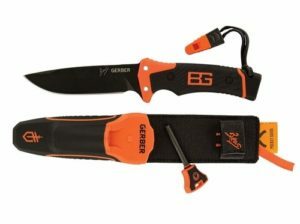 Self Defense: a knife, box cutter, credit card knife, tactical pen – any item that you can use to defend yourself. Fire Starter or Lighter: windproof is best, waterproof matches, fire starting kit. Depending on the size of the kit you're creating, you can choose the size. But at a minimum, you should have at least one way to start a fire. Flashlight: you may end up with several different light sources, stored in different places, and in different kits. But you should always have some source of light on you at all times. If nothing else, a mini flashlight on your key chain is a must. Compass: this could easily be incorporated with an analog watch, rather than as a separate piece of equipment. What you can't count as a compass is the GPS in your mobile phone. In the event of infrastructure failure, one of the first things you'll lose is your phone service. You need an old-fashioned, magnetic compass, either integrated into your analog watch, or by itself. Cordage: a box of unflavored floss, a paracord bracelet, a bundle of paracord, or even replacing your shoelaces with paracord. Too many situations will require some type of cordage. Don't be without it. Shelter: mylar blankets are the easiest and lightest choice for very small EDC kits. As you develop larger, more advanced GHBs or BOBs, you can incorporate better shelter materials. But a Mylar blanket or two will go a long way in a pinch. First Aid Kit: this can be as simple as a few bandaids, a couple of alcohol pads, and some antibiotic. Or as evolved as a full-fledged First Aid Kit, complete with a defibrillator. Consider the other kits you're preparing, and carry what you think you'll need. 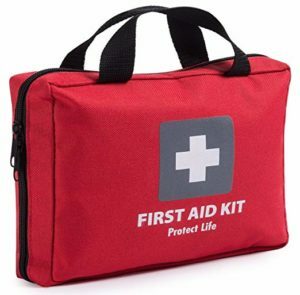 First aid items you may want to consider, even for a small kit, include: band aids, bandages, alcohol, antibiotic, antacids, ibuprofen or acetaminophen. And certainly must include any personal rescue medications. Food: or more correctly, a way to get food. At a minimum, a couple of fishing hooks in your daily wear hat, or folded into a piece of aluminum foil in your wallet, or a small medicine bottle full of supplies, you choose. These can be combined with your floss for fishing line. Cash: you should always have at least some cash that is for emergency use only. It's probably a good idea to store it separately from your normal funds. Items you should incorporate into your everyday carry gear, if you can. If necessary, use this list to begin putting together a Get Home Bag. 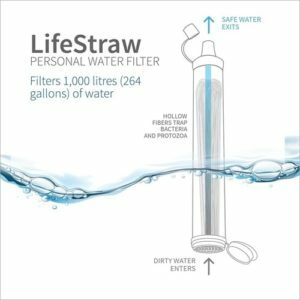 Water Purification: whether tablets or a filtration system, something to get you clean water in a pinch. Vaseline: or any petroleum-based jelly that has a variety of uses including treating chapped lips and hands, cuts and scrapes. More importantly for use as a fire accelerant. 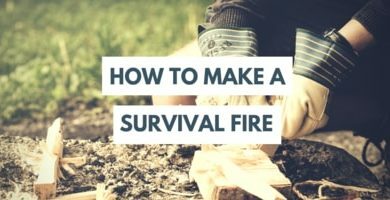 Cotton Balls: first aid uses and as tinder for starting a fire. Batteries: at least AA and AAA sizes. Maybe you already have one in your flashlight, but carry spares if at all possible. They come in handy for other things too like starting fires. Small Wire Saw: this can be included as part of a credit card size multi tool, to cut down on the amount of gear you have to carry. Ready To Eat Food: hard candies, energy bars, a bullion cube, anything to give you calories and a morale boost. The more the better, within reason. Multi Tool: either full-sized pocket knife style or a credit card multi tool that you carry in your wallet. Super Glue: comes in mini tube packs and can serve a variety of purposes, including minor repairs, first aid and as a fire accelerant. A few things that it would be nice to have, if you can fit it in. If it won't fit in your everyday carry gear, this could be the beginnings of a great Get Home Bag. Larger Knife or Weapon: better to have it and not need it, than need it and not have it. Small Address Book: in the event that you lose the use of your mobile phone, you'll need the emergency contact information for those closest to you. Include in it, any other information you might have difficulty calling to mind under stressful situations. Shoes: a spare pair, in case you have to walk a long way. Hiking boots would be preferable. This is especially important for women, who might be wearing heels when they discover the need to walk. Bright Yellow Poncho: good for weather protection and easier to spot. Stainless Steel Water Bottle or Thermos: this can also be used as your kit container, as a weapon, or just to keep some water in. Once you've assessed your needs, and chosen your EDC essential items you can and will carry on you everyday, it's time to figure out how to carry it. There are a couple of ways to go. The typical method is to get a small container and fit your gear inside. You'll need to choose a container size based on how you'll be carrying your kit. If you have a briefcase or purse, you can accommodate a larger size. If it must go in your pocket, you'll have to use a smaller container and be more creative in the way you carry anything that doesn't fit. Metal Container: if you can find something metal that fits your needs, a metal container is optimal. It will hold its shape and maintain a water tight seal better than some plastic containers. If necessary, you could also use it to cook with. Altoids tins are a popular choice, especially for an in-your-pocket EDC kit. Though it can be limiting due to its size. Plastic Touch Box: the advantage of a plastic container is how easy it can be to find one in a size that fits your needs. Rubbermaid style containers come in a variety of sizes and are inexpensive. Organization Pack: commercial EDC organizational packs are available in a number of sizes, designed specifically to help you organize your essential EDC items. You can distribute your gear throughout your clothing, using cargo pants pockets, your hat, key ring, wallet, a chain or lanyard. Women are at a distinct advantage because they are expected to carry a purse, and by simply carrying a slightly larger one they can accommodate many more items with little trouble. Men can improve their carrying abilities, depending on their work dress code, by wearing cargo pants with a number of pockets. Or carrying a briefcase or small backpack with them to work. Maybe now is the time to consider purchasing that ultra trendy man purse you've been secretly eyeing. There's what you should carry, and then there's what you will carry. 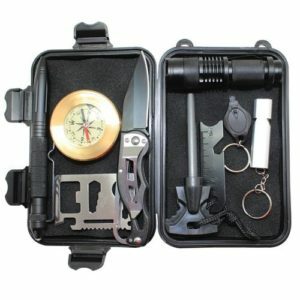 The very best EDC Kit is the one you have with you when you need it, includes your essential EDC items and gives you the knowledge to use the gear you've carried. All the preparation in the world doesn't do you any good, if you don't have your gear or don't know how to use it. So be realistic in your risk assessment and practical in your kit assembly. Remember you can assemble a GHB and BOB as well so you don't have to carry everything every minute. Learn to use the items you've chosen and be faithful in carrying your EDC Gear everyday.